Of course, many might suggest that’s often the case, but hear me out. Upon returning from Indianapolis after the NFL Scouting Combine, I’m struggling to find meaning in the drills with players in shorts and T-shirts in sanitized conditions. As I spend more and more time watching and evaluating coaching tape, both NFL and college, combine drills pale in comparison. I have heard all the arguments and had many conversations with personnel executives, scouts and coaches. Many share my point of view. The combine is just one check point on a long road of evaluation and analysis. Think of it this way. You watch a player, say a linebacker, on film throughout his college career. You see an awful lot of snaps against all kinds of competition, in many varied circumstances, both good and bad. You come away from film study knowing who he is as a player. You don’t like him very much based on your comprehensive film analysis. You believe he does not possess the necessary attributes to be a quality starter in the NFL. You see him as a fifth- or sixth-round pick. Maybe he’s a backup, maybe he’s a special teams player. It doesn’t matter. 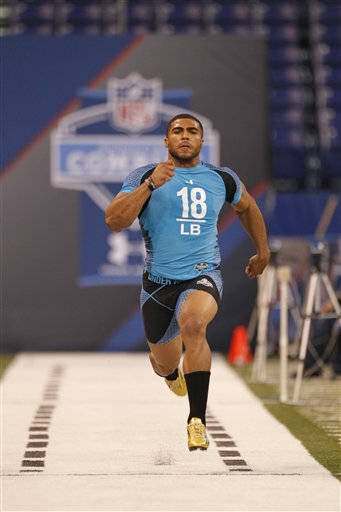 Now we get to the combine, and this linebacker runs the 40-yard dash in 4.50 seconds. That’s an excellent time for the position. Would you change your evaluation of the player based on that? It seems a little silly, doesn’t it? How many times in your film study did you see him run 40 yards in a straight line? Linebacker, and almost every position in football, does not demand or require straight line speed with no one in your path. That doesn’t happen. You see my confusion. What’s the value, when all is said and done? I know there are many elements to the combine, and the drills that feature lateral agility are the ones that are most important. Football is a lateral game much more than a straight-line game. The ability to change direction quickly and explosively is a far more desirable attribute than running fast with no obstacles in front of you. I remember a great discussion I had with an offensive coordinator a few years back. He said he would much rather see the wide receivers run the 40 with a defender both right in front of them, and then 7-10 yards away. The reason: That simulates both press coverage and off coverage. In other words, that’s football as it’s really played. Michael Floyd, a wide receiver from Notre Dame, is a prime example. He ran very well in the 40-yard dash; his low time of 4.47 was faster than many thought he would run. I have seen Floyd on film and I like him, but he’s not an explosive vertical receiver, and he won’t be in the NFL. If evaluators allow his 40 time to change what he is on film, they are making a mistake. Then there’s Robert Griffin III. 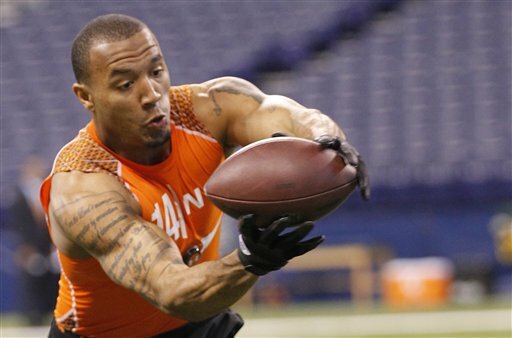 The most meaningless 40-yard dash time at the combine was his 4.41. We knew he was fast before he ran. 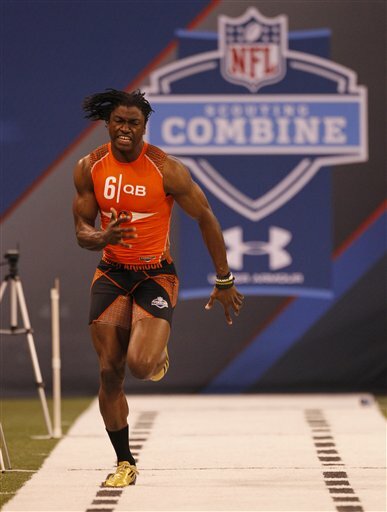 In fact, what happens at the combine, as I was told by an old time scout many years ago, is that fast guys run fast, and slow guys run slow. What does RG3’s 40 time have to do with playing quarterback in the NFL? The answer is fairly simple: Nothing. No one is a great quarterback in the NFL because of the way they run. I’ll get to my true analysis of Griffin later on. My early study has been very positive, but I have more work to do. The point, however, is this: The combine is a lot of fun and serves a purpose, but it should never supersede what you see on film. For me, it does not provide much. Give me the coaching tape every time.